On Thursday, July 17th, Wendell Duffield and Grant Heiken are coming to Ada’s to talk about Volcanoes! Both Wendell and Grant are retired geologists, in addition to being authors, scientists, and gardeners. They recently indulged me by answering a few questions, the fruits of which have produced this post, giving all of us in the Ada’s community a chance to get to know them and their roots just a little bit better. Wendell “Duff” Duffield grew up “a family-farm country boy” in Browns Valley, Minnesota, and started his love for rocks with “picking ancient pieces of them out of corn fields.” His formal education began in the “heady intellectual environment called Phillips Exeter Academy in New Hampshire,” followed by his attendance at Carleton College of Northfield Minnesota for a BA in geology, and continued with MS and PhD degrees in geology at Stanford University. Duff’s “PhD thesis was the study of granite in Baja California, Mexico,” rock that represents the roots of an ancient volcano. To celebrate completing his PhD, Duff and his wife Anne took a vacation to Hawaii where, on the Big Island, he “saw Kilauea in eruption, and that sealed the deal”–Duff was determined to study volcanoes. 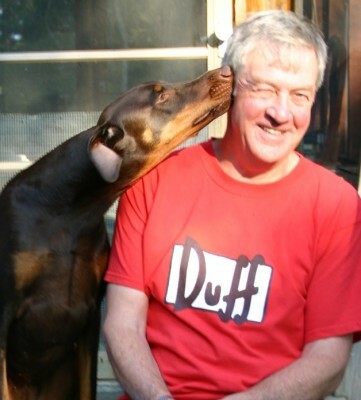 Following his education, Duff embarked on “a 32-year career studying volcanoes for the U.S. Geological Survey,” including “a three-year-stint as a staff geologist at the USGS Hawaiian Volcano Observatory, which sits atop Kilauea.” During his “thrill-a- minute” professional career, Duff studied volcanoes on all of Earth’s continents (save for Antarctica), suffered “a few superficial lava burns” himself, and even “lost a few friends to violent volcanic eruptions.” Through it all, he never lost his passion for both studying volcanoes, and sharing what he learned. Duff’s career continues not only as an author, but also as an online Adjunct Professor for North Arizona University. Presently, with 73 years life experience, Duff lives with his wife Anne in Greenbank, Washington on Whidby Island, enjoying the “fabulous scenery and a climate amenable to Anne’s struggle with asthma.” Duff has a penchant for sentiment, citing Russell Baker’s memoir Growing Up as a story that reminds him of his own life trying to grow up while “on a journey which, like Baker’s, evolved from small town rural beginnings.” That said, Duff’s not opposed to indulging escapism by means of the familiar Minnesota setting populated by the Carleton College football star (“almost a clone of my roommate at Carleton back in 1961,” Duff said) from John Sanford’s Invisible Prey. You can learn even more about Duff at his website. 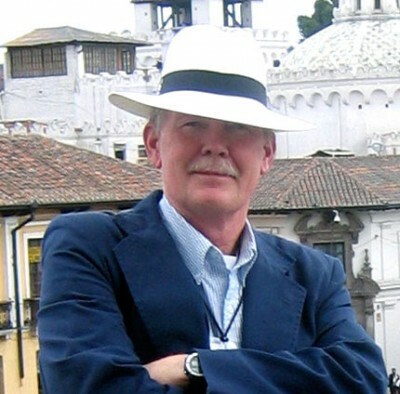 Books he’s published include: When Pele Stirs: A Volcanic Tale of Hawai’i, Hemp, and High-Jinks, Yucca Mountain Dirty Bomb, From Piglets to Prep School: Crossing a Chasm, and of course What’s So Hot About Volcanoes? Grant Heiken grew up “a very long time ago,” in the town of Porterville, California. He holds a PhD in geology, worked for NASA during the Apollo program as a researcher and geology instructor for astronauts, and worked for several years at Los Alamos National Laboratory on many aspects of volcanology, including hazard analysis. “After years of research and applied research in geology,” Grant and “a group of like-minded colleagues” turned their focus towards “bringing geology into the cities.” Their collective work “led to a popular series of international meetings about ‘Cities on Volcanoes,’ where all those interested in risk mitigation meet somewhere in the world every two years.” Attendees of the “meetings include medical professionals, engineers, disaster planners, psychologists, etc. etc. in addition to geologists and geophysicists.” Grant’s interest in risk mitigation and educating the public continues and has most recently culminated in the publication of general interest books such as Volcanoes–Crucibles of Change, The Seven Hills of Rome–A Geological Tour of the Eternal City, and Dangerous Neighbors–Volcanoes and Cities. This entry was posted on Wednesday, July 16th, 2014 at 9:52 pm and is filed under Ada's Events, Authors of the Month. You can follow any responses to this entry through the RSS 2.0 feed. Both comments and pings are currently closed.